:: Sponsored by: The SORRY Project, MAKE BIG PRINTS, Boston Sculptors Gallery, Iris & B. Gerald Cantor Art Gallery, Art Providence Holiday Show, Worcester Center for Crafts, Brookline Arts Center, Artist Open Studios, Waltham Mills Open Studios, Solomon's Collection and Fine Rugs, Bromfield Gallery, Kingston Gallery, Mill Brook Gallery & Sculpture Garden, Brickbottom Open Studios, Vizivel, North Bennet Street School, Fenway Open Studios, and the Artscope Tablet Edition. This week we're presenting Galletly Gallery, New Bedford Art Museum, and Maine Arts Commission, featuring works of unique mediums in surprising places. There are also other interesting and exciting events happening soon for those who want more. "Beyond the Pedestal: Isamu Noguchi and the Borders of Sculpture," is on view at Portland Museum of Art through January 6, 2019. This exhibition, sponsored by Artscope, explores the bold and challenging sculptures of Japanese-American sculptor Isamu Noguchi. Be sure to give it a look! 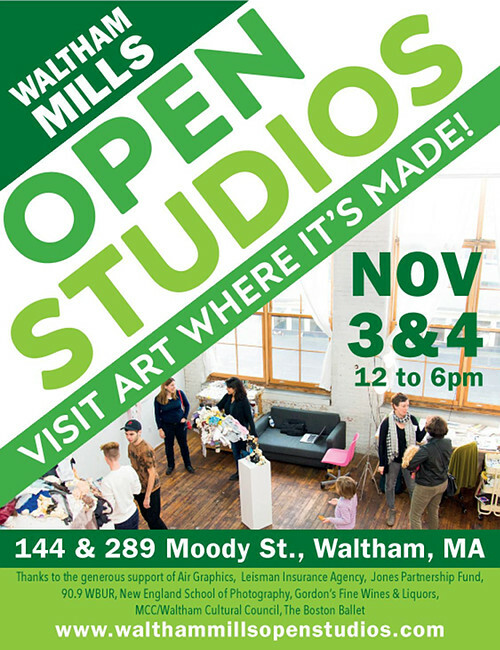 Artscope is sponsoring Waltham Mills Open Studios, happening 12:00 p.m.⎻6:00 p.m. on November 3⎻4. 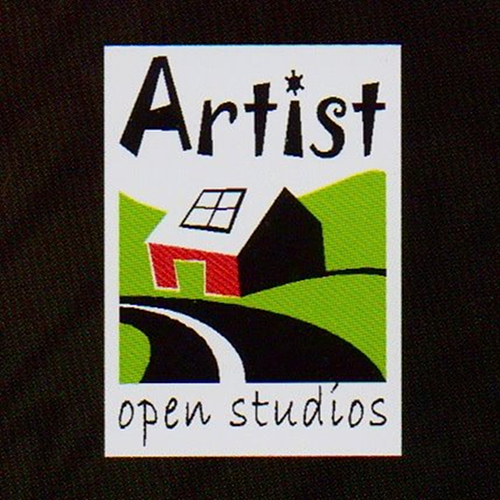 The Waltham Mills Artist Association is proud to present their 42nd Annual Open Studios. 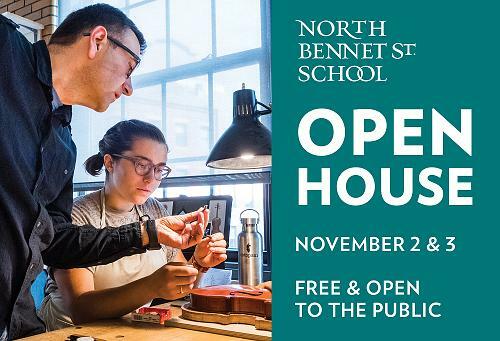 Tour more than 80 studios, meet the artists, and buy their work! This event is free and easily accessible by public transportation. We'll be sponsoring The Museum of Russian Icons' opening reception for "Corncobs to Cosmonauts" on Thursday, November 8 from 6:00 p.m.-8:00 p.m. Bring the whole family and enjoy tours by collector Frank Sciacca, wine, cider, holiday desserts, and crafts. RSVP by November 6 at the webpage or by calling (978) 598-5000 x121. 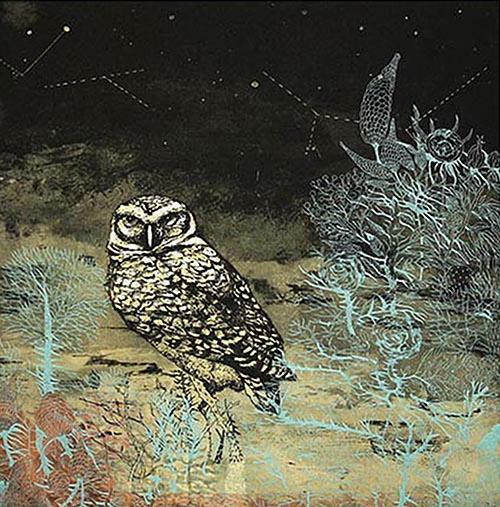 We're also sponsoring MONOTHON at the Center for Contemporary Printmaking. This fundraising event concludes with an auction and party on Saturday, November 17 from 5:30 p.m.⎻8:00 p.m. Attend for some fun, refreshments, and a chance to view and own some amazing art, courtesy of over 100 established and emerging artists! Tickets are $50 in advance and $60 in person. To purchase, contact (203) 899-7999 or jakers@contemprints.org. Starting today and through December 13, New Hampton School's Galletly Gallery will be showing "The Art of Handcrafted Furniture." This exhibition of fine studio furniture features the work of Greg Brown, Owain Harris, Liz Hallen, Terry Moore, Leah Woods, and Jim Zink. All six artisans are passionate and skilled woodworkers using wood as a medium to create designs that are functional, expressive and elegant. Each artist has a distinct style and a different goal they hope to achieve with their work. 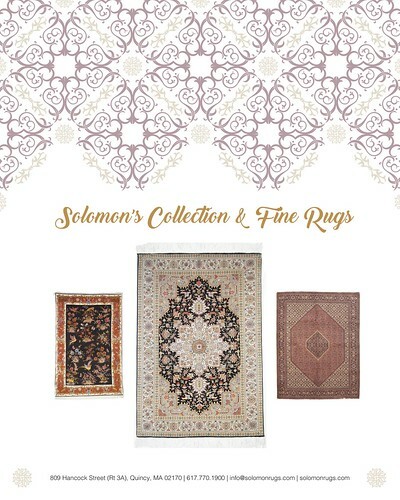 Every piece whether whimsical or simple, modern or traditional, is a work of art as much as it is a table or chair. 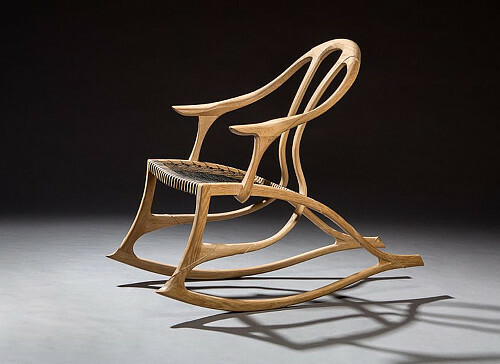 There will be a reception for "The Art of Handcrafted Furniture" on Friday, November 2, from 5:30 p.m.⎻7:00 p.m. Galletly Gallery is located at 70 Main Street in New Hampton, New Hampshire and is open Monday⎻Friday 8:00 a.m.⎻4:00 p.m. and Saturday 9:00 a.m.⎻12:00 p.m. For more information, please visit newhampton.org/galletly-gallery. Sponsored by: The SORRY Project, MAKE BIG PRINTS, Boston Sculptors Gallery, Iris & B. Gerald Cantor Art Gallery, Art Providence Holiday Show, Worcester Center for Crafts, Brookline Arts Center, Artist Open Studios, Waltham Mills Open Studios, Solomon's Collection and Fine Rugs, Bromfield Gallery, Kingston Gallery, Mill Brook Gallery & Sculpture Garden, Brickbottom Open Studios, Vizivel, North Bennet Street School, Fenway Open Studios, and the Artscope Tablet Edition. 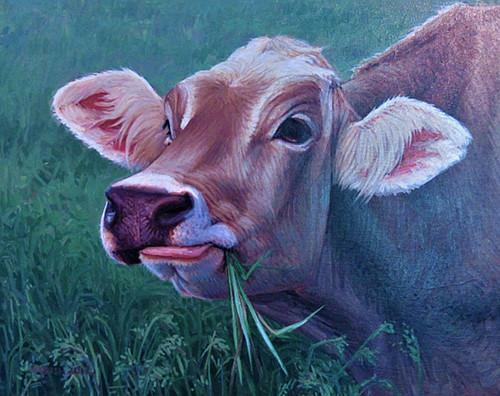 Up to 44" x 96"
Print on watercolor paper, canvas, vinyl, fabric or photo paper. From digital files or your original art. The Epson 9890 at my Somerville studio uses archival pigment ink. Email Gary Duehr at info@makebigprints.com for a quote or more info. Use code AS18 for 10% off your first job. Andy Moerlein, Longing For Mountains. 14'h, mixed media. Artist Reception: Saturday, November 10, 3:00 p.m.⎻6:00 p.m.
First Friday Closing Reception: December 7, 6:00 p.m.⎻9:00 p.m.
* Reception Sponsored by Artscope Magazine, heavy hors d'oeuvre and gourmet tea/coffee. 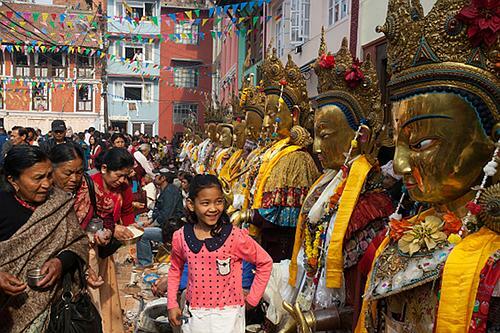 James Giambrone, Samyek Festival, Nagbahal, Lalitpur, Nepal. As an independent scholar and resident of Kathmandu, James Giambrone has studied the master works created by the Newar craftsmen of that region for many years. This exhibition, curated by Giambrone, highlights objects of both Buddhist and Hindu devotion. 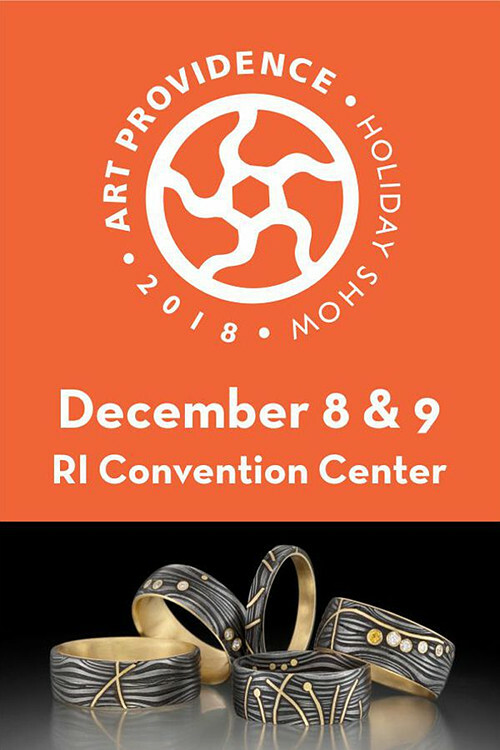 Art Providence Holiday Show returns December 8 and 9 to the Rhode Island Convention Center featuring nearly 200 artists, makers and designers in ceramics, glass, wood, painting, photography, fiber wearable, jewelry, metal, fiber decorative, furniture and more. Saturday 10:00 a.m.⎻6:00 p.m., Sunday 10:00 a.m.⎻5:00 p.m. Tickets $8.50/day. Kids 12 and under free. 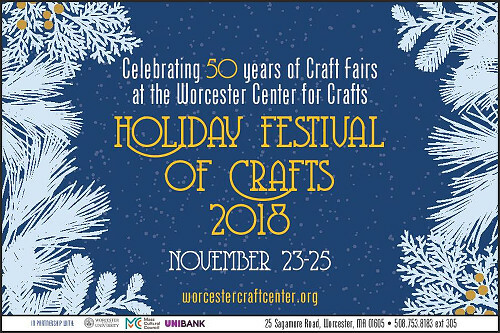 A sparkling holiday tradition continues at the Worcester Center for Crafts where shoppers and collectors find unique, handcrafted gifts in clay, glass, metal, wood, fiber, and paper, made by 60 talented, nationally-known artists. Our antidote to big-box madness! November 23⎻24: 10:00 a.m.⎻5:00 p.m.
November 25: 11:00 a.m.⎻4:00 p.m. The Brookline Arts Center's annual show and sale features handmade and local crafts and fine art from area artisans. 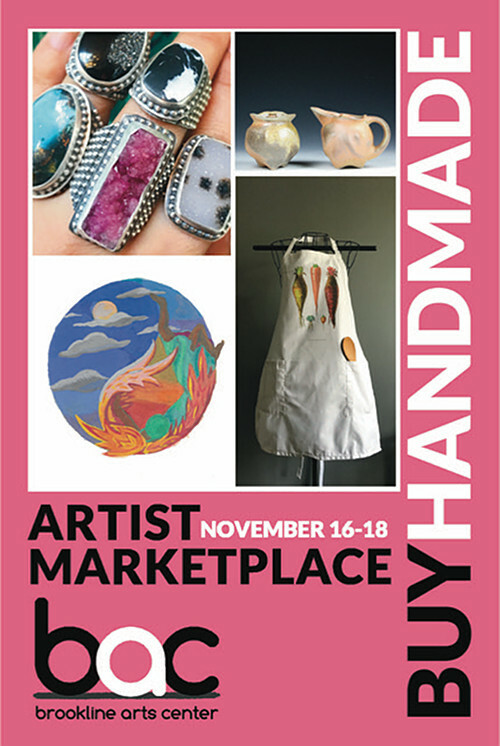 This year, we will have jewelry, pottery, original prints and cards, glasswork, home goods and much more! Market Hours: 12:00 p.m.⎻5:00 p.m.
Market Hours: 12:00 p.m.⎻3:00 p.m.
Market Hours are free and open to the public. More Information. 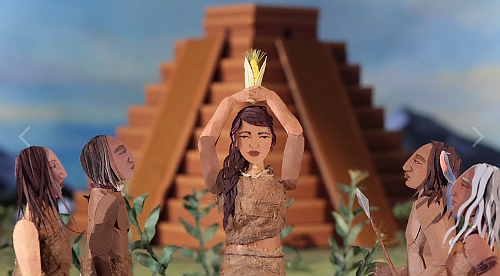 Hayley Morris, still from "SEED: The Untold Story," animation, 2015. New Bedford Art Museum has two solo exhibitions currently on view in the Heritage Gallery and Fiber Optic Center New Media Gallery. "The Years After..." is on view through November 11, and showcases the work of Adrian Tió Díaz. Since his arrival in New Bedford over ten years ago from the Mid-West, Adrian has been creating art with passion towards his Latino heritage with color, rhythmic patterning, and expressive figurative imagery along with experimental techniques in printmaking, papermaking and the book arts. The Fiber Optic Center New Media Gallery is showcasing Hayley Morris through January 13, 2019. Morris is an animation director that uses mixed media and stop-motion animation techniques to tell stories that unfold through layered textures, hand crafted details, and inventive storytelling. 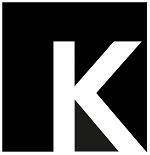 Morris has created work for a broad range of clients in the film, music and video industry. Her animation studio Shape & Shadow is located in Providence, Rhode Island. There will be a reception for both exhibitions on Friday, November 8 from 6:00 p.m.⎻8:00 p.m. New Bedford Art Museum is located at 608 Pleasant Street in New Bedford, Massachusetts and is open Wednesday⎻Sunday 12:00 p.m.⎻5:00 p.m. For more information, please visit newbedfordart.org/current-exhibitions. The Maine Arts Commission/Art In The Capital is showcasing two exhibitions that can be viewed throughout the Maine State Capital complex. On display until November 30 and in partnership with VA Maine Healthcare Systems of Togus is the Maine Veteran Artists show. Proudly on display are works by 39 artists who have accompanied their work with an artist statement that includes quotes and stories about how art plays a key role in the quality of life for many Maine veterans. 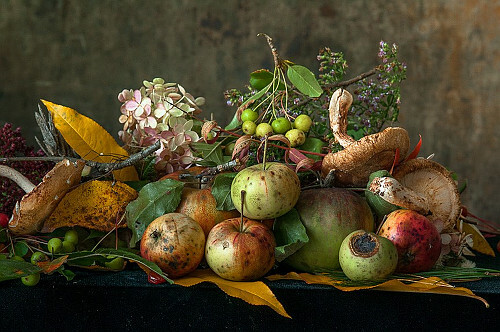 Also on view through December 31, is a series of photographic still lifes by award-winning Maine photographer Lynn Karlin. 19 images were selected from Karlin's "The Pedestal Series," a masterful photographic display of food in still-life composition. The Maine Arts Commission is located at 193 State Street, 25 State House Station in Augusta, Maine. The art exhibitions are free and open to the public daily Monday⎻Friday 8:30 a.m.⎻4:30 p.m. 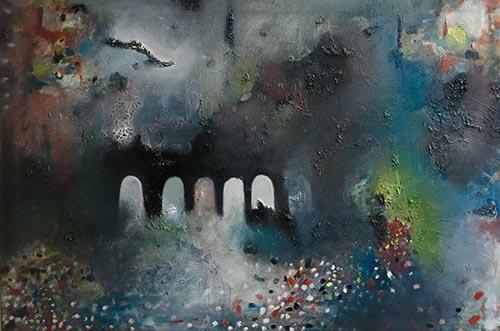 The Art in the Capitol program is administered by the Maine Arts Commission and is designed to expand accessibility for Maine artists working in state on Maine-based themes. For more information, please visit mainearts.maine.gov/arts-in-the-capitol. 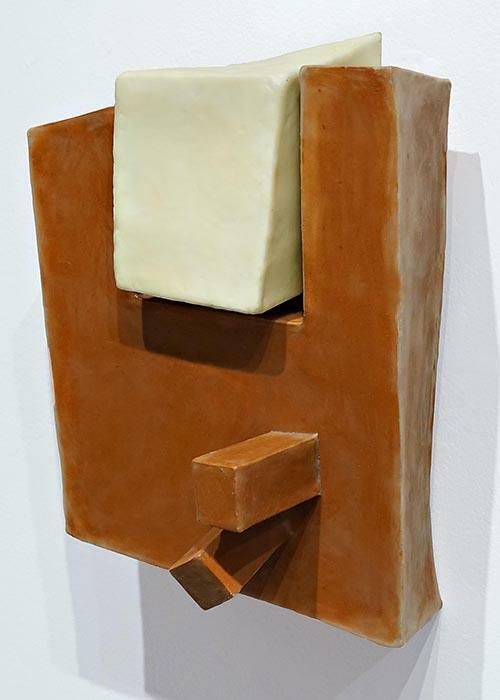 Christine Kyle, Aoife (Ee-fa), beeswax and damar resin on ceramic, 14" x 11" x 7.5", 2018. Mirela Kulovic, Mystic Land, 24" x 36", oil on canvas, 2018. Boriana Kantcheva, Garden, etching, acquatint, monotype, 14" x 14" plate size, 2018. 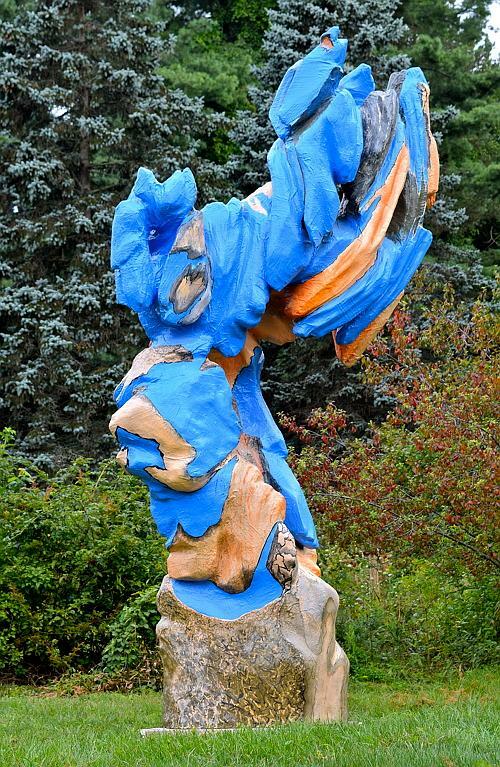 From October 31⎻December 2, Bromfield Gallery presents "Present Tense," mixed-media sculptures by Christine Kyle; "All things I have forgotten" by Mirela Kulovic, paintings inspired by Balkans landscapes; and "Garden" by Boriana Kantcheva, meditations on childhood memories. (Mirela will have an artist talk on Sunday, November 11, 2:00 p.m.⎻3:00 p.m.) The opening reception is Friday, November 2, from 6:00 p.m.⎻8:30 p.m.
Bromfield Gallery in Boston's South End seeks 2D work whose longest side is 16" including frame (if framed), with sale price of $100⎻$1000 for its annual juried show, December 5⎻16. 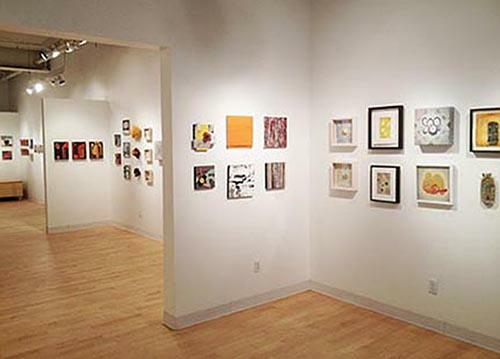 "Winter Works" features dozens of local artists whose work is hung salon-style. Entry fee: $35 for up to 3 jpgs online. Deadline: Monday, November 12. Questions? Email info@bromfieldgallery.com or visit www.bromfieldgallery.com. Bromfield Gallery, 450 Harrison Avenue, Boston, MA 02118. 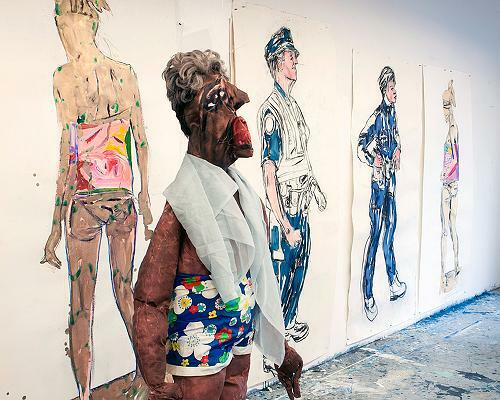 Mira Cantor, Police Drawings, mixed-media, life-size and variable dimensions, 1997-2007. Opening Reception: Friday, November 2, 2018, 5:00 p.m.⎻8:00 p.m.
Gallery Talk: A conversation between Pam Allara and Mira Cantor, December 1, 2018, 2:00 p.m.
Gallery hours: Wednesday⎻Sunday, 12:00 p.m.⎻5:00 p.m.
One of Your Stops During NH Open Doors! When: November 3 & 4 from 11:00 a.m.⎻5:00 p.m. 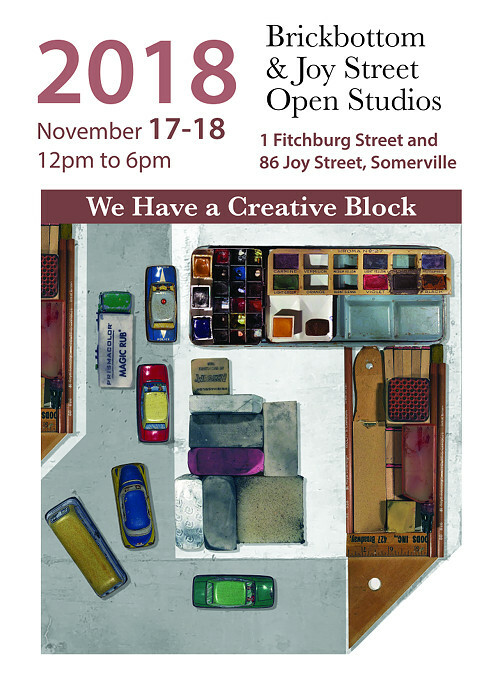 Please join Brickbottom Artists Building and Joy Street Studios celebrating their annual open studios where 100+ artists and artisans open their studios to the public, exhibiting and selling work in a wide variety of media and formats. Visitors will find work in every price range. Free performances, admission and parking. More than 25 artists welcome you to view their impressive work of all mediums; additionally, we are proudly hosting our 10th Annual Food Drive to benefit the Greater Boston Food Bank, all who bring a non-perishable donation will receive a surprise from our friends at the Lansdowne Pub. 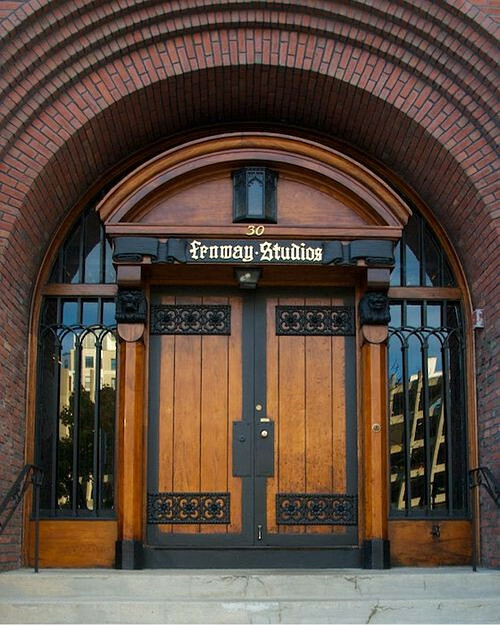 November 10⎻11, 2018. fenwaystudios.org.